I’m enjoying this novel very much. It’s different from my usual reads, but I needed something different this time. What about you? What is your teaser this Tuesday? 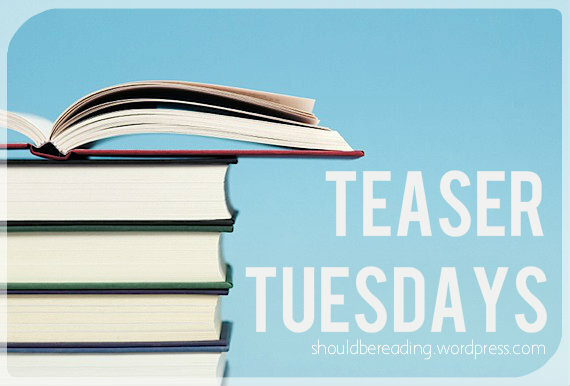 This entry was posted in Books, Teaser Tuesday and tagged Books, Laura Hillenbrand, Teaser Tuesday. I’ll get your robe and we’ll go to my bedroom. I’ll be able to take the proper amount of time, to give you what you want and your body deserve. Pulling her in close as they lay in bed, he wrapped her in his arms, feeling warm and sated. And both slept…images of handsome giants and elfish princesses filled their dreams. Don’t look so scared. You handled today-you can take tomorrow.